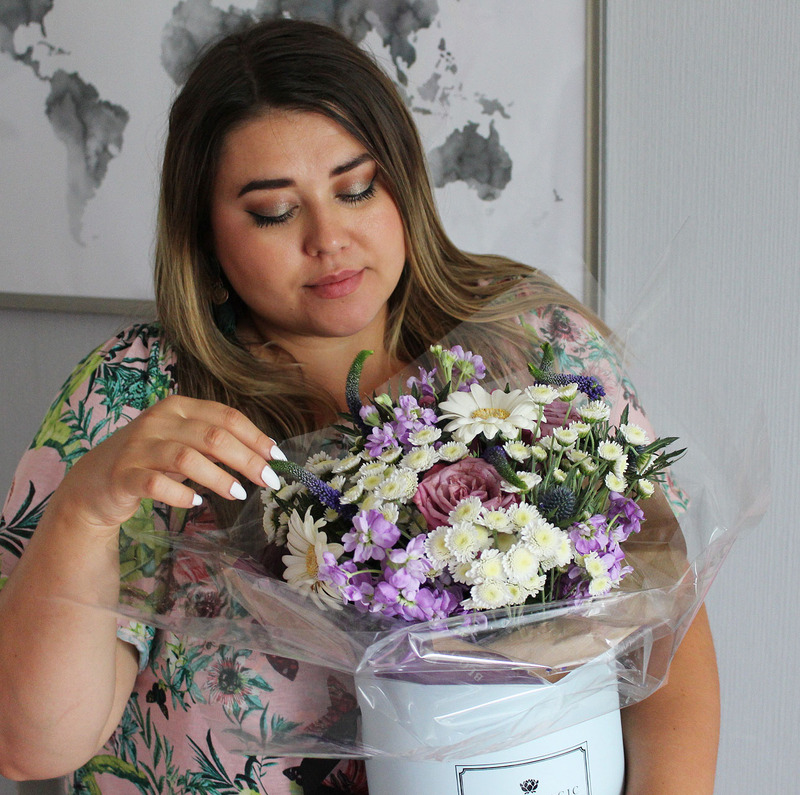 I turned 31 last weekend and I was lucky to receive these stunning flowers from Bloom Magic* to brighten up my day. 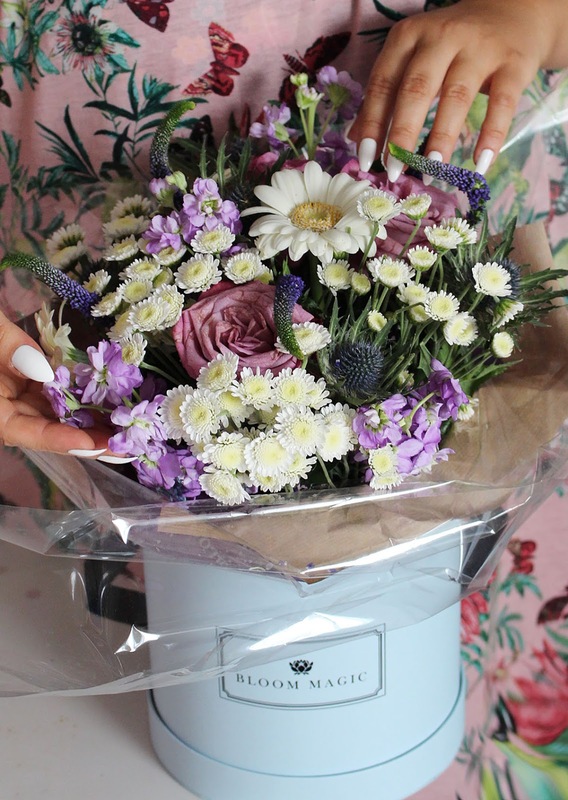 They recently launched in the UK, offering high-quality hand-tied bouquets with opulent touches and I am absolutely in love with this luxe composition. 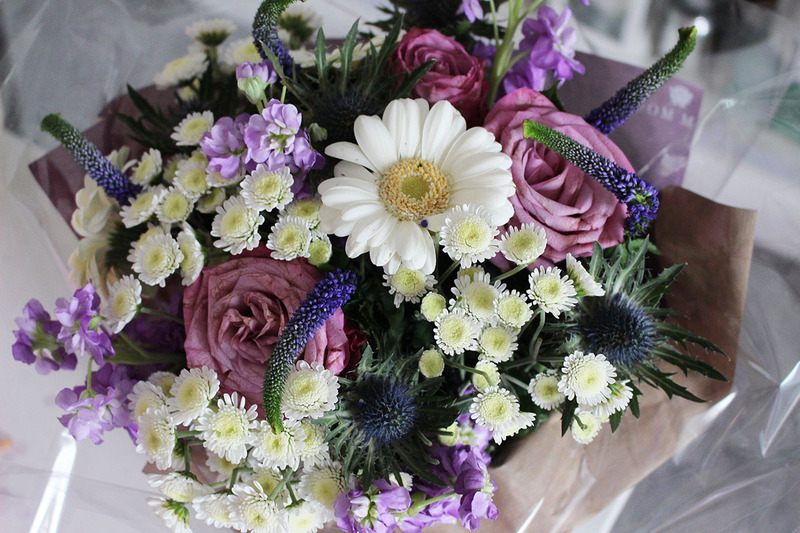 My bouquet is the RÊVERIE À SAINT-GERMAIN which consists of roses, lisianthus, gerbera, veronica, limonium, eryngium thistles, pittosporum and shamrock bloom. 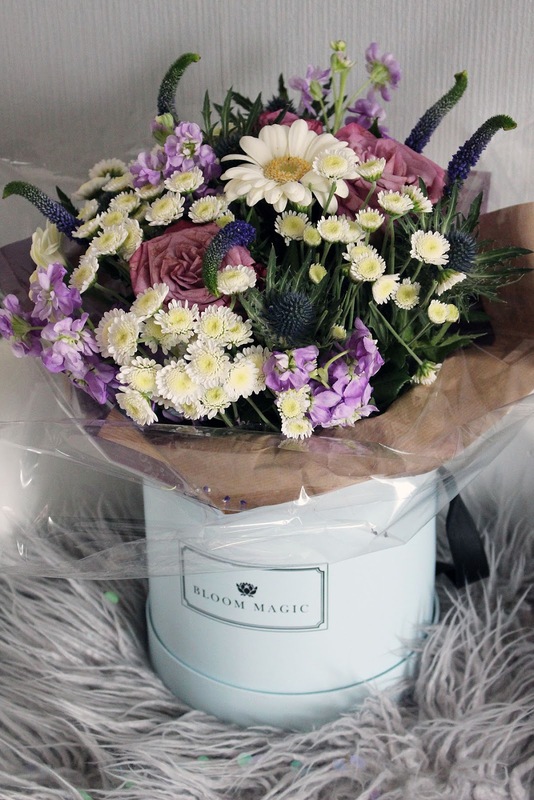 It comes in a beautiful hat box in a matching colour, but you can also choose a grey one for this particular bouquet. 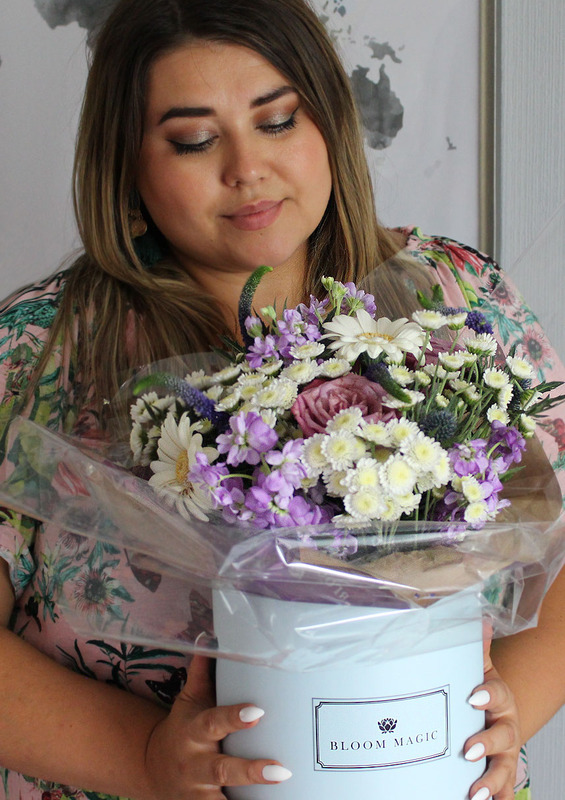 The flowers are of highest quality and hand selected by designers to guarantee at least 7 days of freshness so you can enjoy the bouquet for as long as possible. 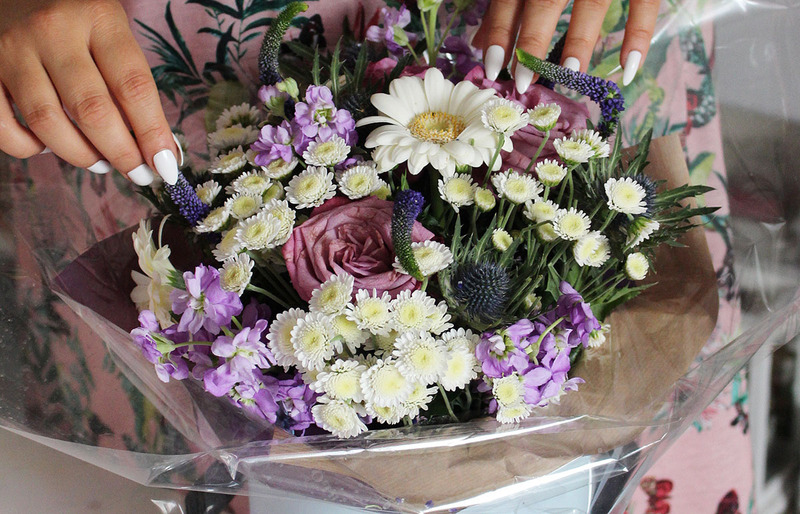 This bouquet actually reminds me so much of the first ever flowers I received from my husband, I am sure it looked almost identical. Definitely had the stunning thistles in it and was a mixture of the same colours. Even my husband noticed that when the flowers arrived. So, so beautiful! 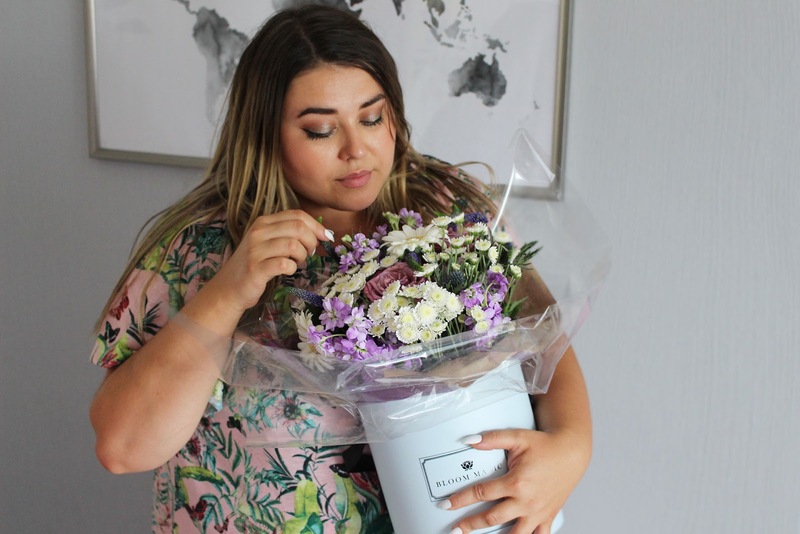 The bouquet is part of the Parisian Hatbox Collection and is available in three sizes: Standard at £43, Premium at £53 and Deluxe at £63. 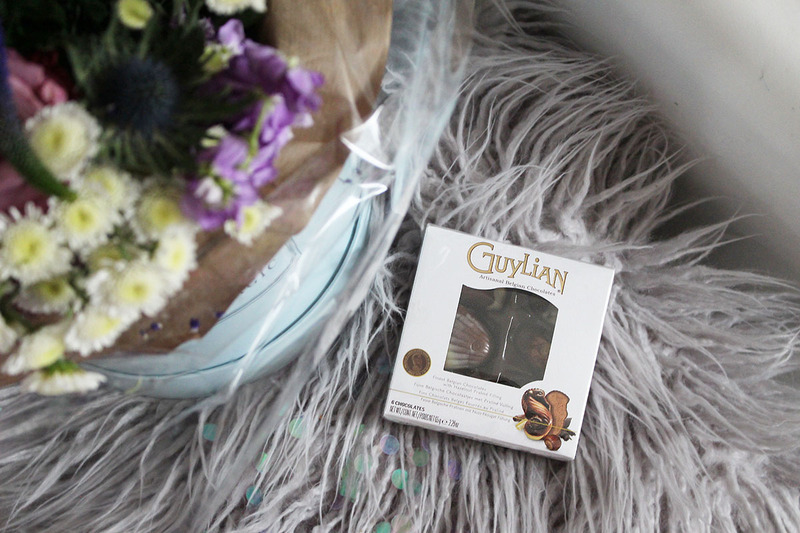 I have the Deluxe version which comes with complimentary chocolates. Delivery is free on all orders. Now onto the photos I took. I could spend all day photographing these! Breathtakingly gorgeous! 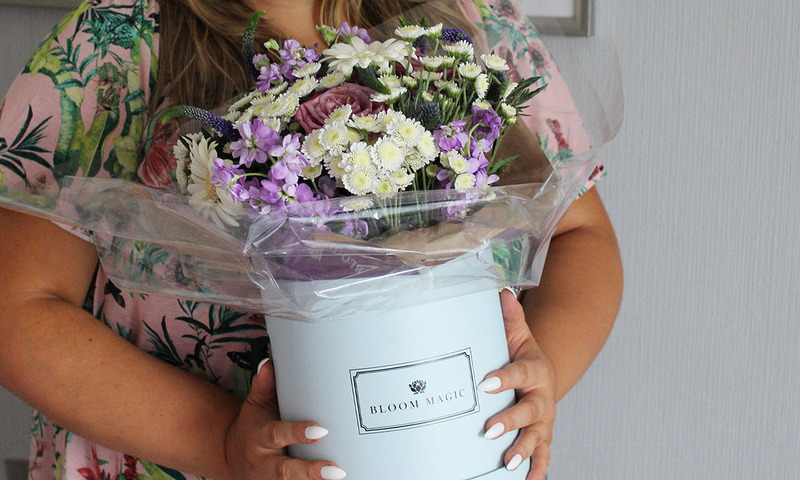 If you fancy ordering a flower delivery from Bloom Magic, you can get 10% of all bouquets using my code: SANDRA10 (valid from now). They currently have some bargain compositions at great prices, so make sure to check out their website.